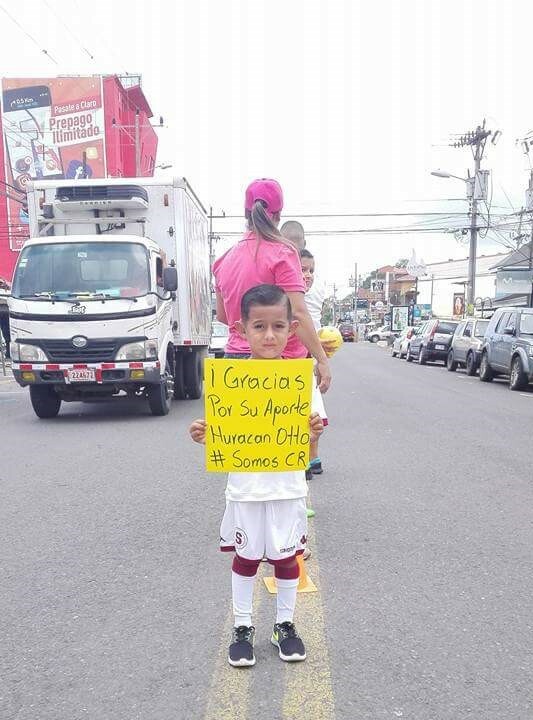 This past weekend, most members of the Jacó Beach and surrounding communities went shopping; not for Christmas presents but for Hurricane relief items. Since Hurricane Otto created disruption, particularly in the Zona Norte region of Upala, the donations have been outstanding. Supermarkets are collecting items. SuperSol is one particular location that serves as a drop off point for the community of Esterillos Oeste. 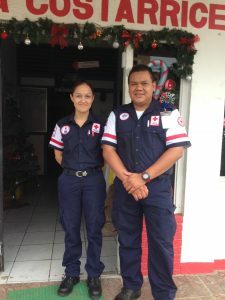 Cody Bishko and Alejandra Pérez Retana are in charge of bringing all donated items to the Red Cross in Jacó. There was a concert benefit by Jaco’s Karma Tribe led by Tribe member Ronny Vio; a surf contest was held at Jaco Beach House, organized by Kris De La O Valverde, where a wheelbarrel was filled with non-perishable food items by cheerful locals. Debbie Carnohan, owner of the Hotel Pelican in Esterillos Este also accepted Hurricane Relief donations during the Junior Surf Series event on Saturday. Individuals and businesses rose to the occasion, giving generously during a weekend normally set aside for spending or making money. The end result: enough trucks were filled to form a a caravan of supplies that headed to Upala. 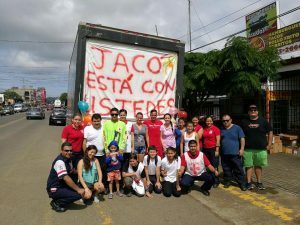 The befitting slogan “Jacó Está Con Ustedes,” Jacó is with all of you, was draped across one of the “camiones,” summing up the local sentiment of unity and good will. Naomi Solano of the local Red Cross in Jaco reported today that the most needed hygiene items are adult diapers and toothbrushes. Food item shortages include flour, oatmeal, soups, sugar, sauces *lizano, and cookies. Dry clothes are still needed, but will only be accepted if they are in good condition. If you prefer to make a cash donation, both the BCR, Bank Costa Rica, and BN, Banco Naciónal, have accounts set up for the cause. The cause that has been ignited to help the victims of Hurricane Otto is a perfect opportunity to teach compassion to the young people in our communities. We musn’t forget that with Christmas only a few weeks away, our neighbors in the Northern Zone will still be recovering from their personal and community losses. Donations of children’s toys are being accepted and will surely be received with love. The Red Cross of Jacó is open 24/7 but the best time to drop off items is during day time hours. Charles Boyd and The Costa Rica Team feel grateful to be part of such a giving community. The spirit of giving is contagious. The efforts of all the residents and business owers of Jacó and its surrounding areas will certainly be blessed.